This training course is for programmers who plan to work in Java, as well as anyone interested in learning more about Java programming. Why should you Learn Java Programming? Java Knowledge is a plus to a securing a job. Java is one of the most widely used programming languages for web programming. Any Web developer needs to have the knowledge of Java programming. 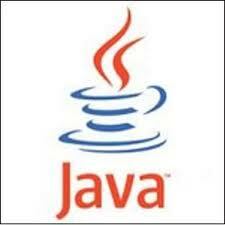 This online course introduces the learner to the fundamentals of Java programming. It starts with the basics, such as how to compile and run a Java program; discusses Java language keywords; and concludes with advanced features such as multithreaded programming, generics, and applets.. There are few prerequisites for enrolling in Java programming. Individuals should have a basic knowledge of computer systems and have basic knowledge of programming logic and programming. Additionally, most applicants have some practical, real world knowledge in the field of programming. Exam Requirements: The knowledge learned in this course can be applied to any Java Exam.. Audience: This training course is for programmers who plan to work in Java, as well as anyone interested in learning more about Java programming. Course Description: This online course introduces the learner to the fundamentals of Java programming. It starts with the basics, such as how to compile and run a Java program; discusses Java language keywords; and concludes with advanced features such as multithreaded programming, generics, and applets. This section introduces the learner to the fundamentals of Java programming, including the bytecode, object-oriented programming, data types, and how to write a simple Java program. This section provides information about the foundations of Java programming - the Java data types and operators. This section provides a detailed examination of the statements that control a program's flow of execution. There are three categories of program control statements: selection statements, iteration statements, and jump statements. After taking this section the learner will be able to control a program's execution. This section provides the basis for object-oriented programming in Java. Classes, objects, and methods are fundamental to Java. You'll learn about the nature of these features, which will help you write more sophisticated programs; and you'll gain a better understanding of certain key Java elements. This section provides the learner with information about arrays, the String type, the bitwise operators, and the ? ternary operator. It also covers Java's new for-each style for loop and command-line arguments. This section provides detail about Java methods and classes, including controlling access to the members of a class, passing and returning objects, overloading methods, and other features. This section provides a detailed examination of inheritance, one of the three foundation principles of object-oriented programming. After taking this section the learner will know the meaning of inheritance and how it allows the creation of hierarchical classifications. This section examines two of Java's most innovative features: packages and interfaces. You'll also learn how packages affect access, and how to apply interface references. After taking this section, you will know how to handle runtime errors in Java programs. The section shows how to use a try/catch/finally block to add an exception handling routine that will monitor for program errors and respond to them. After taking this section, you will know how to handle both console I/O and file I/O for Java. This section will introduce you to the most important and commonly used features of Java I/O. After taking this section, you will be able to write multithreaded programs in the Java language. The section shows you how to create multiple concurrent threads by extending the Thread class and implementing the Runnable interface. This section introduces you to new features of Java 2 5.0 that fundamentally alter the character and scope of the Java language. You'll learn about enumerations, autoboxing/unboxing, static import, and metadata. This section introduces you to the generics feature that was added to Java with the Java 2 5.0 release. It demonstrates how to create generic classes, interfaces, and methods in which the type of data on which they operate is specified as a parameter. This section examines Java's approach to both event handling and the use of applets. After taking this section, you will be able to use applets and control event handling.